Yuki Ferdinansen is a Japanese silversmith and metal chaser based in Denmark. Arare means hail. 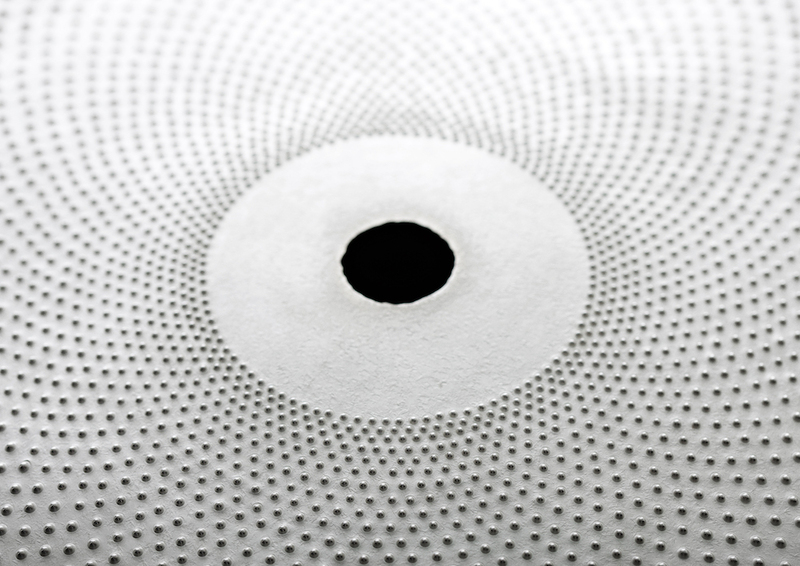 It’s a technique that consists of small ball-shaped points in regular rows on the surface of both small and large pieces of various metals. In my arare-objects the small hails give a delightful play of light and shadow on the white silver. Every sound in the rhythm of my “hammer’s dance” I feel in the whole of my body and enjoy within my soul. My wish is to unite the traditional Japanese technique with formidable Danish design so that I may develop my own unique work. Galleri Montan is presenting a selection of Yuki’s work and new pieces. Please visit Montan’s website for a complete overview of Yuki’s work. Throughout my life in Denmark and in Danish culture, I see Japan through a Danish filter. I want to sense these vastly different cultures and allow them to re arrange naturally and be expressed. My inspiration always comes from nature, expressed through the Fibonacci spiral systematic. 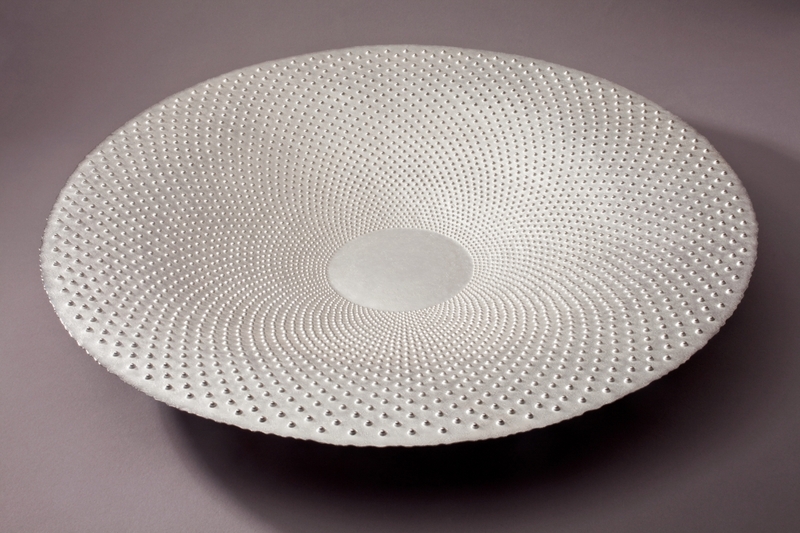 With my hammer, with its small bumps I form a plate of silver; this solid piece gets a floating look simultaneously with flexibility. It has durability, weight, light, reflection, contrast, and silver’s unique brilliance. Silver’s gloss is hot and cold simultaneously, it is this gloss and disposition that is the charm of working with silver. With a fusion of traditional Japanese artisan technique Arare and Danish modern design in mind, I want to create my works. I enjoy every stroke and every blade is followed by step with the foot. Every sound of the rhythm of “my hammer’s dance” I feel n the whole of my body and enjoy within my soul. This is work that never suffers from fatigue. 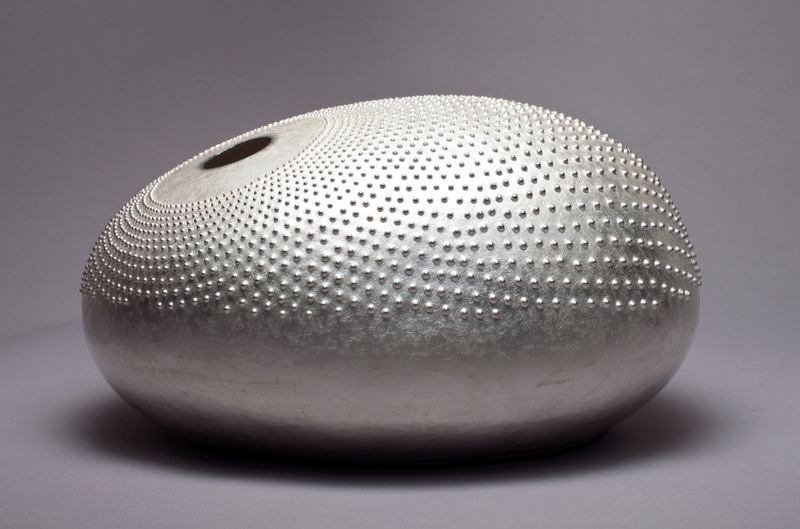 2001 The 2nd Cheongju International Craft Biennale, Silver Medal, Cheongju, Korea. Represented in private collections in Denmark and abroad. Wallpaper, Christie´s Magazine, TL Magazine, Sotheby’s Institute of Art.